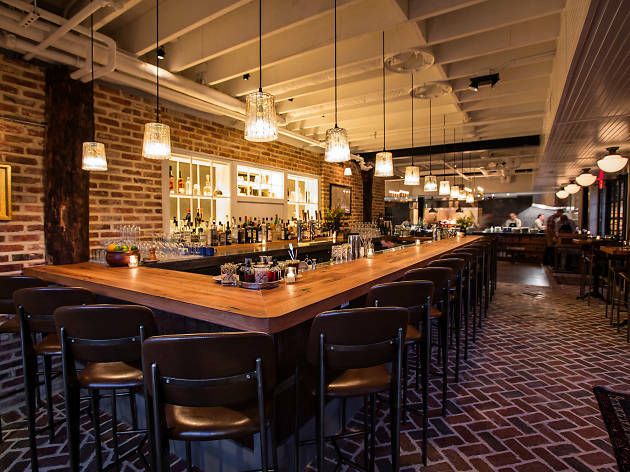 Chef Jeremiah Langhorne (formerly the chef de cuisine at the much-lauded McCrady’s in Charleston, S.C.) takes a near-obsessive approach to local sourcing at his long-awaited mid-Atlantic restaurant in Blagden Alley. His dishes come steeped in history and are made primarily using produce grown (and foraged) nearby, including the rooftop garden. The interior feels almost barn-ish—albeit much more chic—with dark wood floors and tables and rafted ceilings. 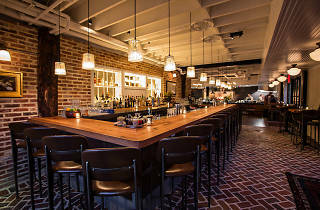 The open kitchen is anchored by a wood-burning oven that churns out new dishes on a daily basis.